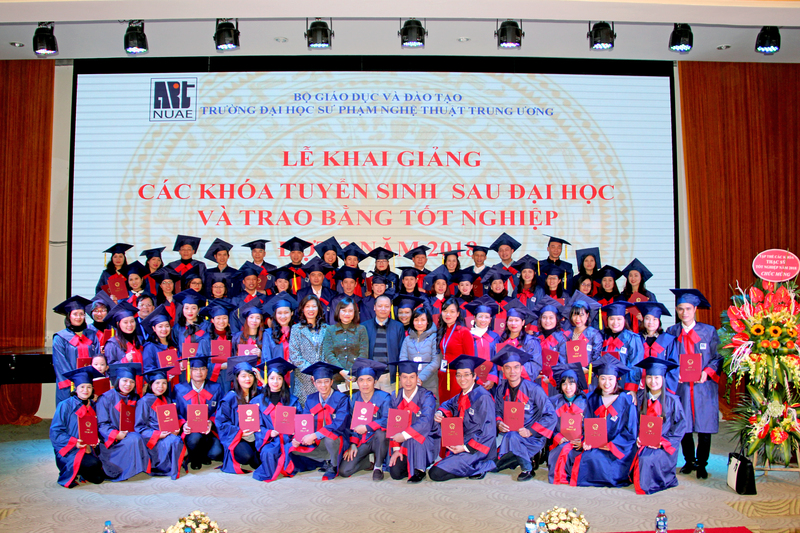 On the afternoon of January 18, the National University of Art Education held a grand opening ceremony of the post-graduate Courses and awarded Degree in 2018. 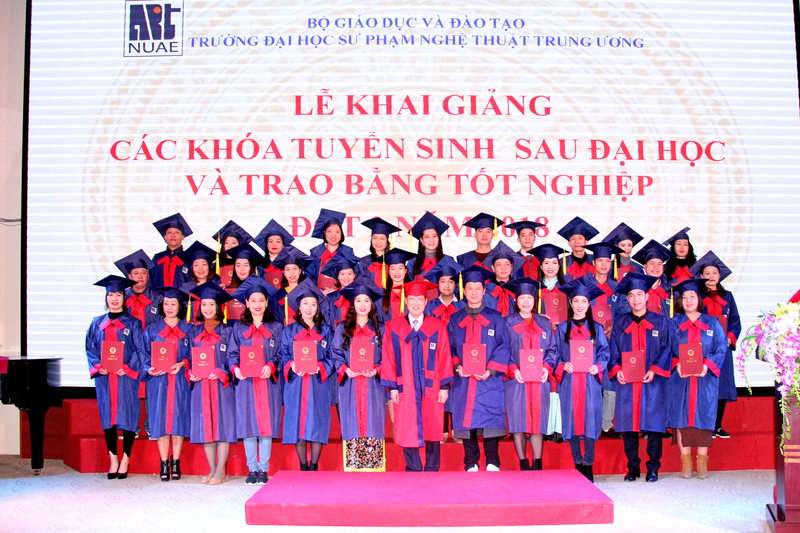 Attending the ceremony were Assoc. 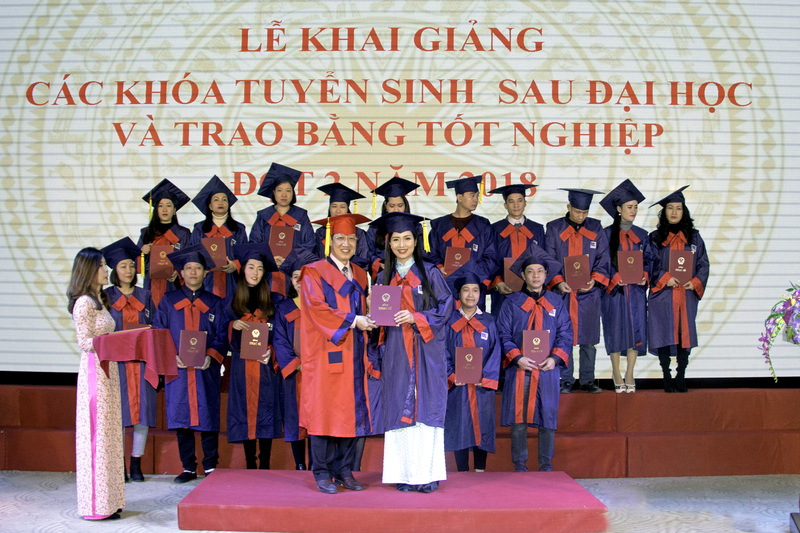 Prof. Dr. Dao Dang Phuong - Secretary of the Party Committee, Rector of the university, comrades in the Executive Committee of the Party Committee, Board of Directors, leaders of units and numerous teachers are directly involved in teaching the postgraduate classes of the National University of Art Education and graduate students, PhD students are studying at the University. 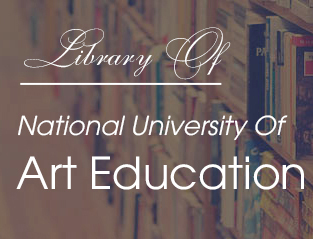 To open the Ceremony it is an art show performed by master students and graduate students of the University. 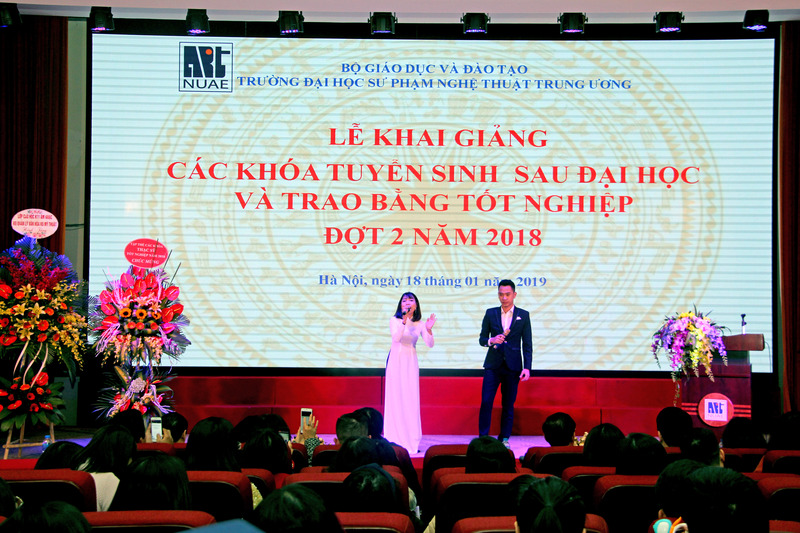 The performances are echoed in the joy of 96 elected students in 2018, including master students in the fields of Theory and Teaching Methodology of Music, Theory and Teaching Methodology of Arts, of Cultural Management. 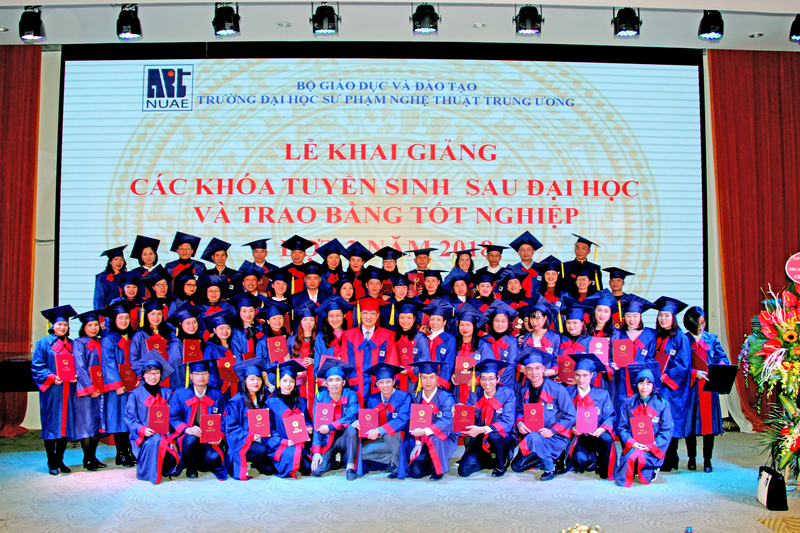 That joy was multiplied with 132 students successfully defending their master's thesis. On behalf of the Party Committee, Board of Directors, Assoc. 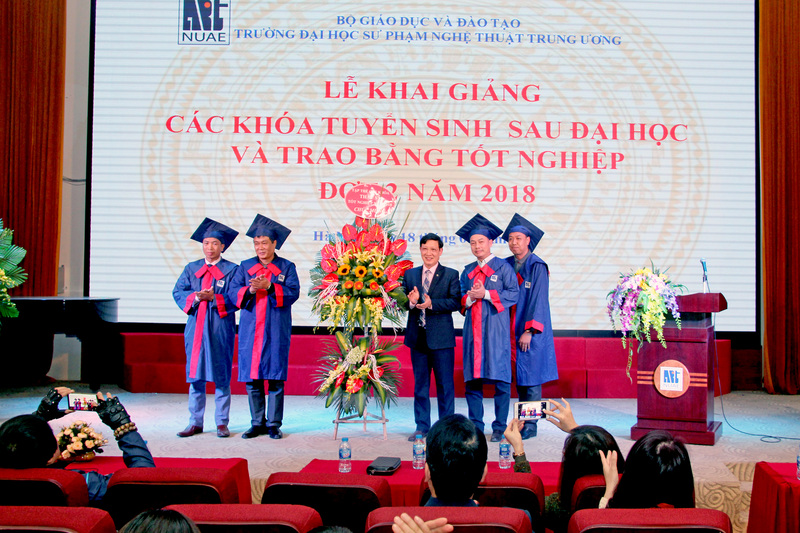 Prof. Dr. Dao Dang Phuong gave a congratulatory speech, acknowledged and warmly praised the achievements of the new masters. Assoc. 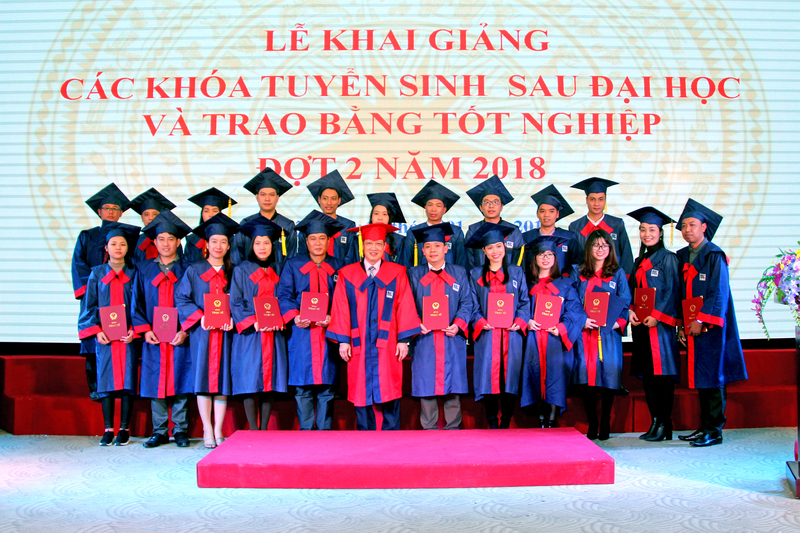 Prof. Dr. Dao Dang Phuong also emphasized the achievement that the university has achieved thanks to a solid foundation that the previous generations have built and the efforts and solidarity of the collective teachers of the University in general and of the Post-graduate Department in particular as well as of the trainees have overcome all difficulties, successfully completed the training program and officially became masters of the National University of Art Education. Assoc. 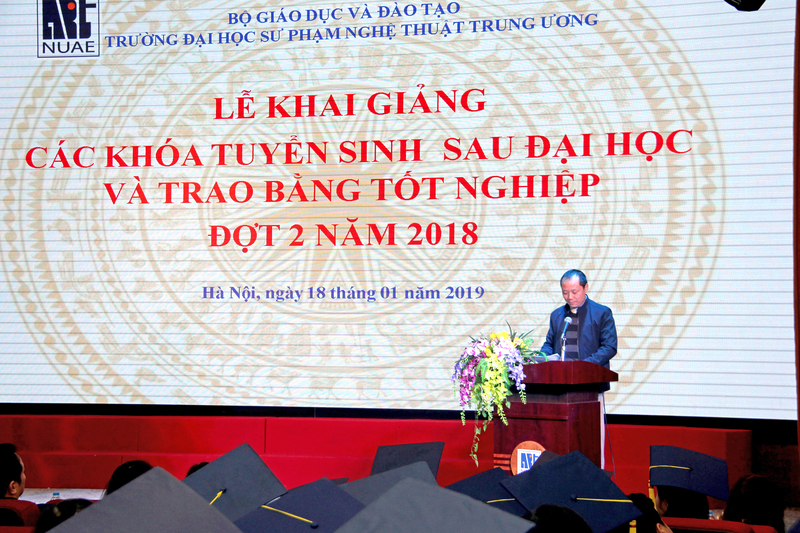 Prof. Dr. Phuong believing that with the knowledge and skills equipped during the learn and study at the University, the new masters will make a positive contribution to the education and art culture of the country. At the Ceremony, M.A. 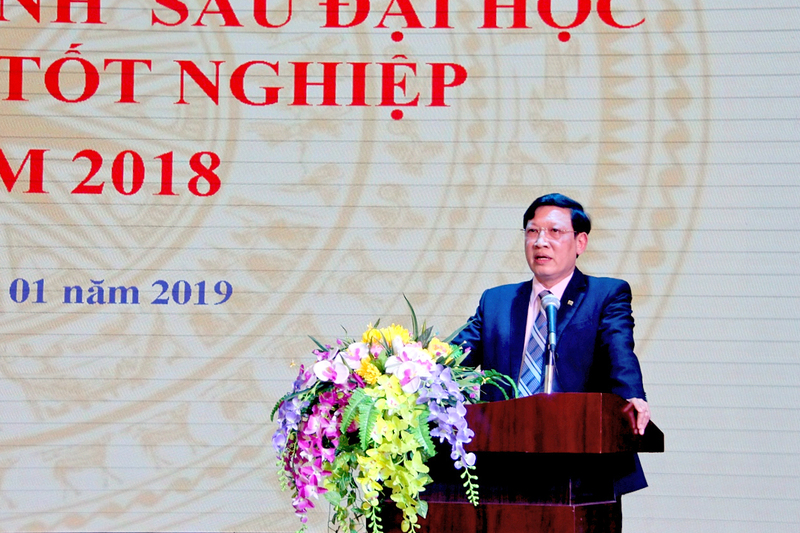 Tran Vinh Khuong - Interim Head of Training Department announced the decision to recognize admission in 2018; at the same time, announced the Graduation Recognition Decision for 132 new masters in 2018.